Oscar Niemeyer: In MemoriamBy SHEILA GLASERAgencia Estado, via Associated Press ImagesOscar Niemeyer working on a project in São Paulo, Brazil, Apr. 6, 1969.Oscar Niemeyer, the renowned Brazilian architect, died yesterday at 104, but not before transforming Modernist rigors into something surprisingly sensual. When Michael Kimmelman profiled him for the magazine in 2005, Niemeyer was still going to his office in Rio and planning new buildings, including an auditorium for Brasília, the city whose creation fueled his critics but also ensured his fame. 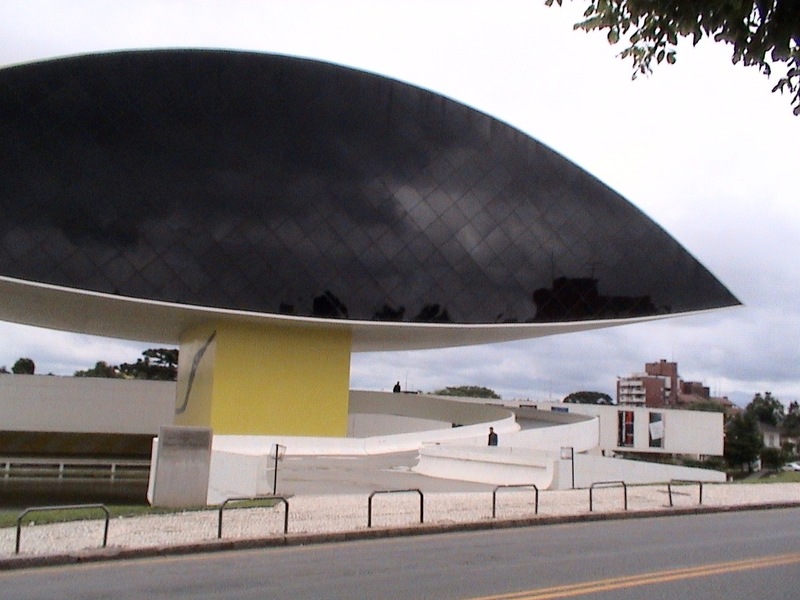 As Kimmelman wrote, Niemeyer “designed some of the most audacious, sublimely poetic and occasionally goofy buildings of the 20th century.”It was his museum in Niteroi, across the bay from Rio, that brought him renewed attention when it was completed in 1996 and thereafter became a backdrop in fashion magazines. As Kimmelman put it:Trendy publications like Wallpaper embraced his formal finesse, with its hint of radical chic. Brand-name architects made pilgrimages to Rio. At nearly a century old, Niemeyer became the darling of the smart set.And so he remained, continuing to plan and dream and to inspire.Simon Norfolk/NB Pictures for The New York TimesThe Times Magazine, May 15, 2005.
via Oscar Niemeyer: In Memoriam – NYTimes.com. Today a incomparable genius has passed away just 10 days before he turned 105 years old. Until his last days before he was hospitalized, he was going to his office and working on what he loved. He loved life and lived it to the fullest. Today is a sad day.